As India prepares to celebrate its 72nd Independence Day, Google has decided to showcase the leading apps on the Play Store made by Indian developers. 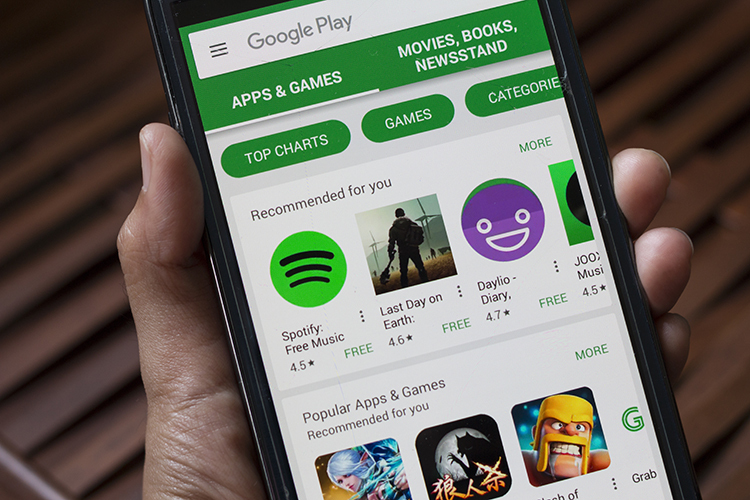 Under the banner ‘Made by Indians’, five apps which serve different purposes have been highlighted on the Play Store as you scroll down the home page. The apps include fitness and wellness app HealthifyMe, Zee Network’s freemium entertainment platform Zee5, regional language social network ShareChat, news and jobs discovery platform Dailyhunt, and the widely-publicised e-learning app BYJU’s. For once, the showcase dives deeper than the app’s features, as Google has added a short interview with the creators of the apps talking about their motivation for the app and their journey so far. The app connects users to health and nutrition experts, inspired by the lack of awareness and importance given to general matter health. One of the key features of the app is a calorie counter that comes pre-fed with calorific values of Indian food and fast-food items. HealthifyMe looks to transform the way Indians prioritize fitness and the seriousness they have towards issues like obesity. 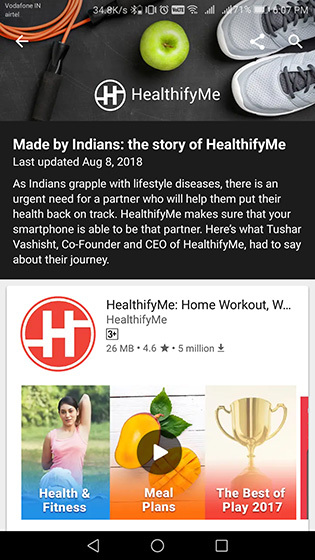 HealthifyMe has more than 5 million downloads on the Play Store with an average rating of 4.6. The app can be downloaded from the Google Play Store for free. With the decrease in mobile tariffs and surge in consumption of online content in India, video-on-demand has become fairly popular. Like most other prominent TV networks, Zee jumped the bandwagon and has thus, created a VOD service that offers exclusive content from more 90 of Zee’s TV channels including live telecast. Apart from TV shows and live TV, the app also offers movies. The app also allows users to buy a subscription to buy premium content in a number of regional languages besides English and Hindi. 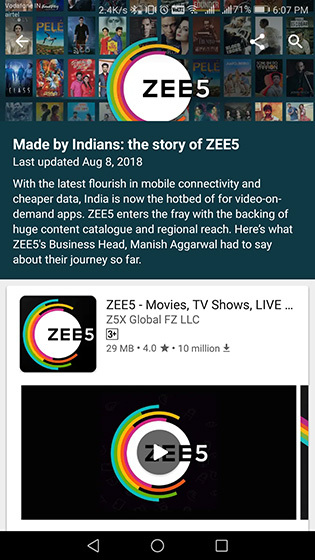 You can download Zee5 from the Google Play Store for free. 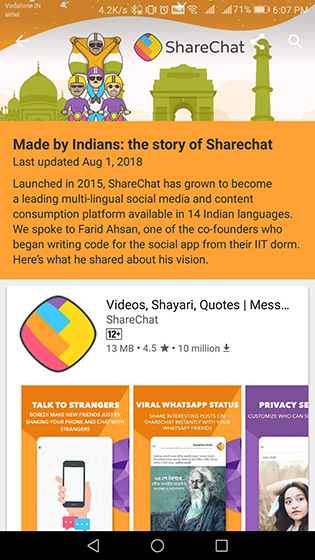 One of its kind, ShareChat is a social media platform which lets its users share stories in up to 14 Indian languages. Most of the content on the platform is user-generated. As the name suggests, the app is meant to share content which has the potential of going viral. Within the app, users can discover content from as many as 25 different topics including romance, humor, entertainment, and current affairs. ShareChat recently received a funding of more than Rs. 115 crore from Xiaomi Singapore and its sister firm for deploying artificial intelligence and other tools to improve the content discovery and facilitate moderators. The app can be downloaded from the Google Play Store for free. 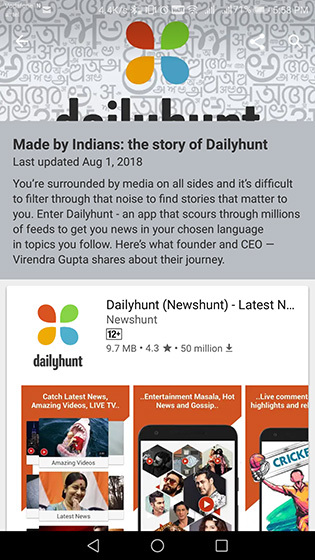 Dailyhunt is an app for news reading and discovery which lets users find relevant news stories in their preferred languages. These news articles are not created by the company itself but curated from more 1,000 sources in 15 different languages with a total of 100,000 articles published through the day. The creators of Dailyhunt target the masses of “real Bharath“, serving not just those who live in the cities but also the ones in tier 2 and tier 3 cities. The app is available on the Google Play Store for free. BYJU’s is one of the well-renowned and among the earlier e-learning apps in India which targets students from different classes, even catering to college students. The app was inspired by the creator’s own struggle at the time of exam preparations. BYJU’s focuses on a personalized style of learning which varies with the learning abilities of each student. The app uses gamification and interactive visualizations to make school subjects more interesting. 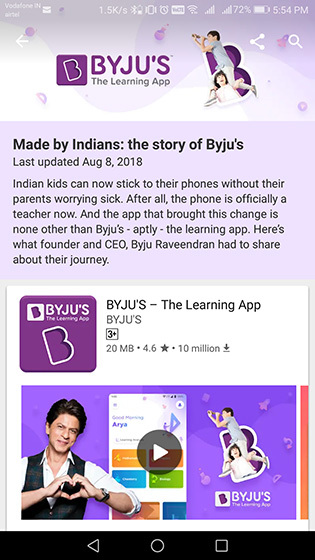 You can download BYJU’s from the Google Play Store for free.